Top tips on engaging with and supporting your local schools, uniformed organisations and other community groups and societies. Download Engaging with the Community document here. Click here to find the nearest school to your church. If possible, the lead teacher will visit your church before the day of the visit and check through the risk assessment. Here is a model example. You may wish to inform local press of the school visit. If so, here is an example Press Release for you to use. If you do record the schools’ visit through photos or videos, then consent to this must be sought and received from the school beforehand. Please use this model consent form, adapting it where appropriate. 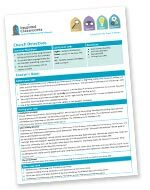 Ask the visiting school which lessons and quick challenges they have chosen to use in your church and familiarise yourself with them here - Lesson Plans and Challenges. If the lesson plans or quick challenges require QR Codes, then let the school know if the church has wifi. If not, remind them to download our offline Web App, which still enables the QR Codes to be used on their visit. Here are some ideas on recording a schools’ visit to your church. Download How to Record your Visit here. Please liaise with the school on the equipment that they will bring and / or need during their visit. Here are some ideas. Download Church Equipment List here.